A pilgrimage is defined as a journey to a holy place. 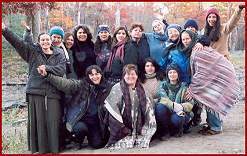 And although I've never been to the Wise Women Center in the Catskills in upstate New York, I am sure it is a holy place. I imagine that countless women have made their way to this place in search of ways to achieve better health-a pilgrimage of sorts. It is here that Susun Weed teaches when she's not a guest lecturer here in the United States or around the world. 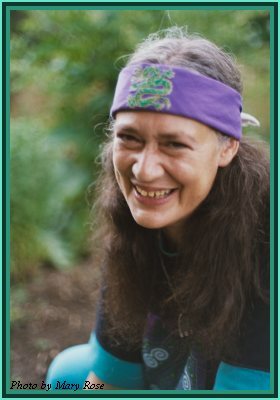 I had the opportunity to speak with Susun Weed, a revered teacher on women's health and healing with plants and herbs. With four well-known books to her credit, Weed remarked that, ìMy life is devoted to helping women reclaim their wild nature, but I never thought of myself as a writer. I only wanted to share with women the simple, safe remedies I was learning, and writing seemed the best way to do it. SLM: Since you are often referred to as a wise woman yourself, I wondered how you would define the reference? SW: A wise woman is a term that's been used in various European languages for five or six hundred years. It is someone who is involved in helping to maintain and create the wholeness, the holiness and the health of her community. SLM: How can women empower and educate themselves concerning breast cancer? SW: (correcting me) on breast health, That's a great question because that's really what I'm interested in; I'm not interested in pushing any woman to use any particular substance. I'm interested in helping to promote, create, nourish and strengthen a woman's sense of self-empowerment for whatever her health issue is. Menopause is something we come to. We are given a tremendous load of misinformation by current medical practitioners, not from any ill will on their part, but simply because they themselves are extremely misinformed by this ultimate women's mystery. Similarly, in terms of breast health, women are told every October that there's nothing you can do about it; there's no way you can prevent it and the only thing you can do is have a mammogram. This past January, Lancet, a journal of the British Medical Association, the equivalent of the American Medical Association, published a meta study which is a (study of studies) on screening with mammography. They looked at how many women were diagnosed with cancer and survived and also how many women had health consequences because of the mammography. A mammography is radiation and we now know that radiation is one of the things that causes breast cancer. What the meta study found was that women were more likely to be damaged or killed from the mammogram saved by it. So here's a more specific answer to your earlier question, "What can women do?" Women can understand that eating a diet containing whole grains, that would be whole wheat, or brown rice, and also eating a diet rich in beans can be very beneficial. In terms of the hormone like substances that help prevent breast cancer(isoflavons), soybeans are low on the list. Virtually every other bean has far greater benefits in a safer configuration than soybeans. In Asia very little soybean is eaten unfermented, so miso and tamari (fermented soy products) make up 98% of the soy eaten. It's understood that tofu can cause damage to the bones, damage to the memory, damage to the thyroid. And of course, menopausal women certainly don't want any increased damage to their memory, thyroid or bones. I tell menopausal women to stay away from soy beverages. It's not even sold in Japan or Asia because it is so dangerous. Use soy as the Asians use it, with meat or fish or with seaweed. Seaweed helps to counter the thyroid problems that tofu creates. Soy is being heavily promoted. We have to understand that the Soy Council spent more than $10 million to be on two news programs; the Dairy Counsel doesn't have that kind of money. What we conclusively see in every country where women eat fermented milk products, or yogurt, is that broken bones are rare and they live healthy, active lives. Eating yogurt, especially on a daily basis, does some wonderful things for menopausal women. It reduces the number of bladder infections by 300%, reduces the number of vaginal infections by 400% and reduces the incidence of cancer by 700%. When you eat a half a cup of yogurt, you get one-third the calcium you need and you also get all that disease reduction. What a great thing to do! Regarding menopause, I ask women what they took for puberty and most of them say, "I didn't take anything for puberty." When a baby girl is born, she's producing 29 of the 30 estrogens that her body is capable of making. At puberty, that 30th estrogen starts being made but it's only made one day out of each month during menstruation. So each month during her menstrual cycle, for approximately 24 hours, this one very powerful estrogen is being made. When she's pregnant, this estrogen is not being made. Other estrogens are being made, but not this particular one. So at menopause we don't lose estrogen, we just stop making this one estrogen that we made only one day each month. It's truly not a big deal. But when we stop making that one estroge, two other hormones that we make. : Follicle Stimulating Hormone and Lutenizing Hormone (FSH and LH) suddenly start getting made in huge amounts and this causes most of the symptoms of menopause. If a woman goes to her doctor to check and see if she's in menopause, they don't check her estrogen levels, they check LH and FSH levels. If we take estrogen pills, it shuts off the production of those hormones and it stops menopause. I've worked with hundreds of women in their sixties and seventies who now have breast cancer. In the Journal of the American Medical Association, also this past January, there was an article backed up by an editorial, showing that women taking estrogen replacement for five years or more, increased their breast cancer risk by 20%. And women who take Hormone Replacement Therapy, or HRT, for five years or more, increase their risk for breast cancer by 40%. These women in their sixties and seventies, who now have breast cancer, stop taking these hormones and then they go through menopause. These hormones don't cure menopause because there is nothing to cure., It's a transition like puberty. The bottom line, is women don't need any drug or herb to get them through menopause. Yet, there are herbs we can use all the time to nourish ourselves which are extremely helpful during menopause. And as I said, whole grains and beans are going to bring in those plant hormones which help our bodies to deal with our hormones, in a safe way, because they're not processed. Understand that tofu is highly processed and that soy beverages are even more processed. SLM: What can each one of us do to help heal the planet? SW: Stop eating soybeans. I was just reading a Scientific America article about what has happened over the past five years; the sales of soy beverages increased from $1.5 million to over $200 million. This has caused farmers to put huge amounts of acreage into soybeans, and soybeans put huge amounts of nitrogen into the soil. When they harvest, they take the beans and leave the mass of the plan, which then breaks down and contributes to one- third of the nitrogenous waste that is polluting our waters. So again, eating yogurt and making sure you have whole grains and whole beans in your diet is far better for the planet, as well as for your own health. 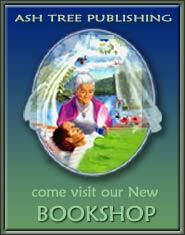 SLM: And what can we do to heal ourselves? SW: What can we do to heal ourselves? For example, there are herbs that I use on a daily basis and they are nourishing herbs. First and foremost among them is seaweed. I may sprinkle seaweed on my food, and at least twice a week I eat seaweed as a vegetable, a half a cup to one cup as a serving. This is something everyone can do, and I believe that the seaweed consumption by the Japanese keeps them healthy and free of heart disease and cancer. I also use stinging nettle, oat straw, red clover blossom and comfrey leaves. Not all together, but one at a time. I buy the dried herb. I put one ounce dried weight into my quart jar. Then I pour boiling water to the top of the jar, put a tight lid on it and allow it to steep like that for four hours, or overnight. An ounce of dried stinging nettle contains a thousand milligrams of calcium. If we make a tea from a teaspoon of stinging nettle, we're only getting from 50-100 milligrams of calcium. By making a tea, we are never able to extract the calcium. Using a full ounce of stinging nettle we get a thousand milligrams of calcium and by allowing it to steep for four or more hours, we draw all of the calcium out of the nettle. The calcium is important for a healthy heart and healthy bones. Furthermore, the stinging nettle nourishes and strengthens the adrenals, and the adrenals have to do a lot of work during and after menopause. So for women who are having night sweats, stinging nettle is a tremendous ally. In addition, it's loaded with really good solid energy and can make you feel more energetic than a cup of coffee. There are a lot of good reasons for drinking stinging nettle infusion. Today, we're drinking red clover infusion. Red clover is an herb that's grown to help pregnant and lactating cows, so it's really very useful and more to the point for women who want to be strong and healthy. Red clover is everything you thought soy would be, without any of its problems. It's the world's most acclaimed anti-cancer herb. SLM: Where does one buy seaweed and how is it sold? who has a fussy family, cooks up beans and cuts up a generous amount of seaweed and cooks it right in with the beans. The seaweed dissolves and her family doesn't even know they're eating it She uses either wakami or kambu, both are kinds of kelp. The interesting thing about seaweed is that not only does it help normalize and strengthen the thyroid, but it also has the ability, because of the electrical charge in its atoms, to help draw radioactive material and heavy metals out of the body's tissues, and safely excrete them in the feces. Seaweed is a powerhouse and I talk about seaweed in my green book, Healing Wise. Actually, I have about thirty pages including recipes. SLM: Do you think we're making any progress? SW: I think our greatest success is that we are giving birth to people who don't want to cut down trees. We need to understand that humanity has been cutting down trees since the dawn of civilization. For example, Lebanon is a dry desert where there used to be huge forests of cedar. You go to the Amazon basin where several notable Americans have gone and bought up millions of acres of forests; they are hated by the local people because the local people want to deforest. They want to get rid of the trees. So the fact that we're actually giving birth to people who are saying, "Let's not cut down the trees, let's save them," is truly amazing. "There is much wisdom to be gained through a closer communion with the earth. The earth represents the physical, emotional and spiritual nourishment and support that we each need, wrote Cowan. Both your security and insecurity bring you close to the one who feeds your flesh, your mind and your soul: Mother Earth." by Gail Faith Edwards.Gail is an herbalist with thirty years experience serving her rural Maine community, founder of Blessed Maine Herb Farm. Information on 125 herbs and trees. Directions for growing, harvesting, drying, processing and storing, and lots of uses. Introduction by Susun Weed. 256 pages, index, illustrations. "A jewel written by an accomplished herbalist, the graceful flow of words makes the reading of this book like smooth honey to the soul."